You know you're a real paper crafts nerd when you get excited about an envelope order! Stampin' Up! used to carry various envelope sizes before, including square envelopes that fit 5-1/4" x 5-1/4" cards. I discovered last week that I was finally down to my last one and that I'm also running really low on envelopes that house 3-1/4" x 6-1/2" cards (another favorite). So I went looking online for a place where I could order some more­. By the way, the rickrack border was created with the pinking edge die from the Confetti Card Dies set. The rectangle was too wide for my design, so I placed my die-cut cardstock back in the die, a little bit more in, glued in place with temporary tape and ran through the Big Shot again to take a small piece out and make the piece narrower. The resulting piece created a really delicate rickrack piece, which I reused directly on the card. The return of copper and rose gold - LOVE! My Stitched Rectangle Dies - when wafer dies first came out, I bought every single shape except for rectangles, figuring I didn't need them since they did the same thing my paper cutter did. I can't believe how much use I've ended up getting out of them, especially now that they come with stitching around the edges. They are by far my most used dies. French sentiment dies - it took a long time for French sentiment dies to hit the market. 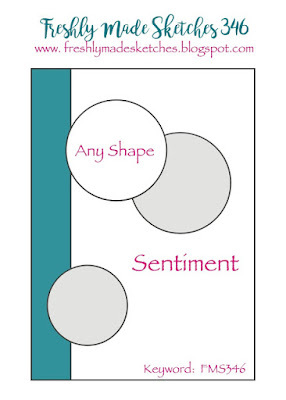 We are finally starting to see a wider selection and after lusting after all of the cool die-cut sentiments I was seeing on English cards everywhere, I'm really enjoying being able to create with some as well. This card was also inspired by a colleague at work asking me if I could make a card for her mom who is turning 70 next month. The design was inspired by a cool sketch from Card Maps July 2018. I used the Large Numbers Framelits from Stampin' Up! for the main image, and a French die that reads "happy birthday" underneath. This is another example where I tried out a few color combinations for the oval and the sentiment die so I was left with a few pieces unused on the cards that I was able to recycle to make a pretty matching envelope. In the $2 bin at Michaels, I found a stamp combo that had a mini door image and "Shut the Front Door." 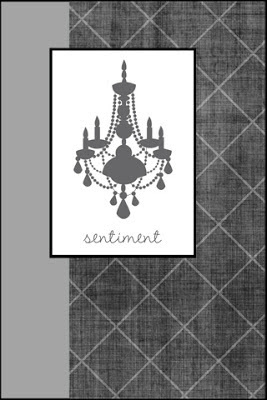 I thought the sentiment would be perfect to go with the Shut the Front Door die from Lawn Fawn. 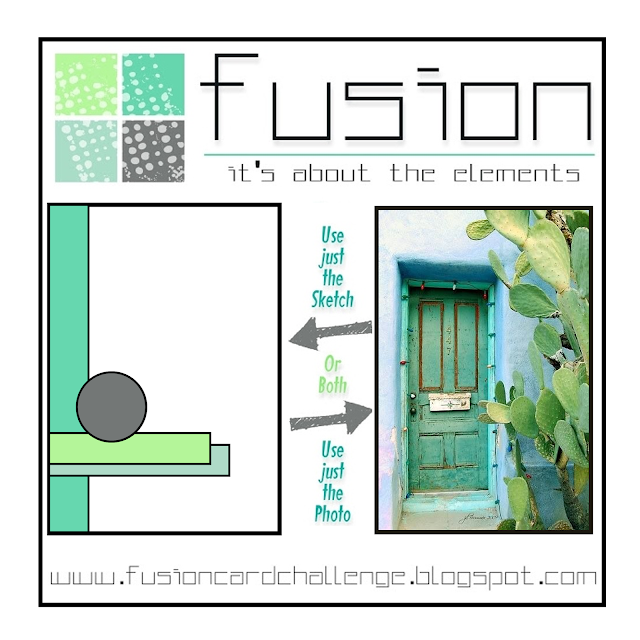 I've been meaning to pair the two items together on a project since, and I finally got to it when I saw the door image from the Fusion challenge this week. Since fall will be coming soon (but not too soon, I hope! ), I decided to do a fall wreath on the door. I was putting everythubg together quite fast, but I still had no idea what would be going inside the door. I figured I would simply put one of the Lawn Fawn characters. But when I went through my stamp, I got the idea to do an alien coming out of a beam, with the words "you are out of this world." The sentiment tied in nicely with Shut the Front Door, which would probably be for a congratulations card or something impressive being achieved. The top left of the card felt a little bare, so I found a window in the Scalloped Treat Box Spring House Add-On set. By the way, the link between this card and the Little Red Wagon challenge (inspiration from a movie or TV show) is the show What Not to Wear. Cohost Stacy London always used to say "Shut the Front Door" whenever she found an outfit fabulous. To this day, I still always think of her when I hear that expression. I must have seen most episodes, if not all of them. My sister and I used to watch it together all the time. One of my favorite tip from Clinton and Stacy was them explaining that "it doesn't match, it goes." That tip has been helpful in putting together outfits, but also in putting together craft projects, actually! For the "Repeat after me" challenge, I thought I would use the Stitched Garden Border dies and repeat the little veggies planted in the garden. The dirt and little veggies were all cut from white cardstock and sponged with Oxide inks to give them dimension. The design was inspired by a Page Maps card sketch (July 2018) and the colour from an old ColourQ (#267). The little nametags were created with the Rooting for You stamp set and matching dies. I also use the stamp set to create my matching envelope. In order to get shading on the veggies, I used my blending tool to apply Distress Oxide ink to the stamp before stamping. This created a soft motled effect which is just lovely, so I have to make a mental note to try out that trick again on future projects. 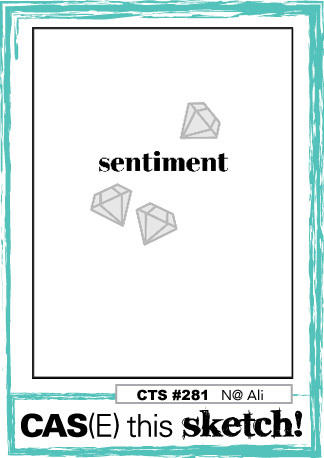 I was looking at sentiment options and even though I initially thought I would fit something smaller, once I started testing out a couple of options on my Stamp-a-ma-jig sheet, I discovered that the bigger sentiment filled in the space nicely and looked quite good. I would have thought a plainer font would have worked better with the garden scene, but I liked the fancy font better, so I ran with it. I was first thinking of using orange embossing powder, but then I spotted the copper one and thought it would look cool on the Chocolate Chip cardstock. That inspired me to pull out some copper cord to wrap between the garden scene and sentiment. I remember this cord being one of the first embellishments I bought from Stampin' Up! when I became a demo (I celebrated my 13th birthday as a demo at the begining of the month). I used copper embossing powder and embellishments all the time back then and I was quite bummed when they were retired. I'm happy that copper is back in - it always look great with fall colours like the ones used on this card. When I saw the Freshly Made sketch, I knew I could use my new Tropical Chic bundle for it. It's one of the first thing that caught my eye in the annual catalogue. There's a mix of retro and modern in there, and the paper is really great. It's going to pair well with a ton of flower sets, but also wild animals or vacation-themed project. The square filled with leaves is also an interesting die. I discovered it does not cut a square outside, so it's really just a floating window that you can insert in any paper size you wish. Here, I pulled out the Layering Square Framelits because I did want to have a square image, but you could do a window or shaker in the center of a cardfront. Lots of possibilities there. To give my foliage square dimension, I die-cut it three times and layered the images. To make sure my square lined nicely, I only use the die on the first image, and I used my scissors to cut out the two other frames once they were layered in place. I also made sure to line the back of my cardstock with adhesive sheets before die-cutting to avoid fiddling with glue on all of those little parts. I could have gone with the green and pink combo of the patterned papers, but I wanted to try something different so I looked at past ColourQ combos and added Coastal Cabana to my green combo, as well as a touch of silver. So a piece of Silver Foil paper was added to the back of the foliage square, and I added a white scallop square die-cut at the bottom to make the main piece stand out more. When mounting the pieces, I decided to add Granny Apple Green ribbon at the bottom and on a whim, I included two Leave Trinkets in the bow. The sentiments from the Tropical Chic stamp set were too big for my design, so I borrowed one from the Stitched All Around stamp set that reads Best Wishes, and I added a Basic Adhesive-Backed Sequin at left. I really liked the drink dies from MFT with the matching shaker pouches. The little Frosty Ice Cube embellishments are just the icing on the cake for me - SO adorable! And perfect for the Ice, Ice, Baby! challenge over at Little Red Wagon! I could have been a little more generous with the filling of the pouch but it was my first try at using the shaker pouches and I was testing it out. I used a remnant of cross stitch beads from a kit and some of the ice cubes. At least, by not filling it up too much, the ice cubes are still easily visible. I really liked the soft colour combo from MFT and once I realized I could make the peaches and violet shades work with the animals from Safari Friends, the idea for this card was formed very quickly. Stampin' Up! has carried many clear-embossed patterned papers over the years and even though I've used them quite a bit, they tend to get forgotten in my stash once they are retired. Lately, I've ben thinking it would be good to get them out and pair them with some of my new colour mediums, like Oxide inks or powder pigments. For this one, I pulled out the Distress Oxide ink to use on the Iressistibly Yours Specialty Designer Series Papers. I picked the one with the foliage pattern, which seemed appropriate for safari animals. To ground my furry pile, I also used Distress ink on a piece of polka dot paper, which I die-cut with the Grassy Border die from Lawn Fawn. By the way, the colors I picked for the combo showcase three new Stampin' Up! hues: Petal Pink, Highland Heather and Gorgeous Grape. I added a touch of Calypso Coral as well. Isn't the result soft and pretty? This would work well for an unconventional baby card as well. On a side note, I forgot to add Stampin' Dimensionals behind the animals and glued them flat on the card. I decided to do the same for the sentiment banner, which makes this card mailable with regular postage (a rare occurence for me). I totally love the images from the Book Worm stamp set. This is totally me when I was a kid. I spent the first 18 years of my life (minus the years I couldn't read yet) with my head down in a book. I would read in the car during our long road trip (think the whole way from Quebec to Florida), at the restaurant and sometimes even when we were walking around when I was too excited about a new book and couldn't wait to start it. The amount of reading I did died down a little when I reached college. Not because I was out all of the time, but because I had so many mandatory books to read for my litterature classes (between 6 and 8 by trimester) that I needed a breather the rest of the time. In university, I again had a lot of reading for my classes, and I often used my transit time on the bus to do some of that reading. I remember one time sitting beside a guy that asked me why the heck I was reading a grammar book. Hahaha! Definitely for classes, and not as "fun, light reading!" Nowadays, I read about a dozen novels or so a year, which is not nearly as much as I once did, but I always have a pile of books on my nightstand, waiting to be read. I also still love to stop at bookstores once in a while to peruse through new books. 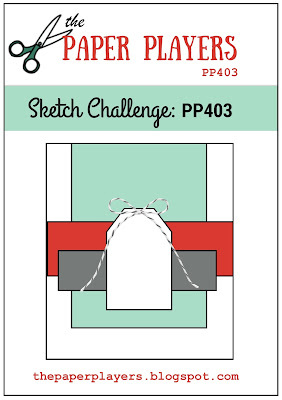 The sketch challenge was the starting point for this card, and I selected a past ColourQ combo as inspiration. Don't those colours look great together! There's something both soft and striking about that combo, and I think it could work for a baby theme or for a masculine theme as well. I tried to stay away from fluff as much a possible in order for this card to work for a gentleman. I has this idea to use the A to Z stamp to create a soft background on the Barely Banana cardstock and because I was using that colour, I just had to pull out the Gold Pearl embossing powder, which pairs tremendously well with this cardstock colour. 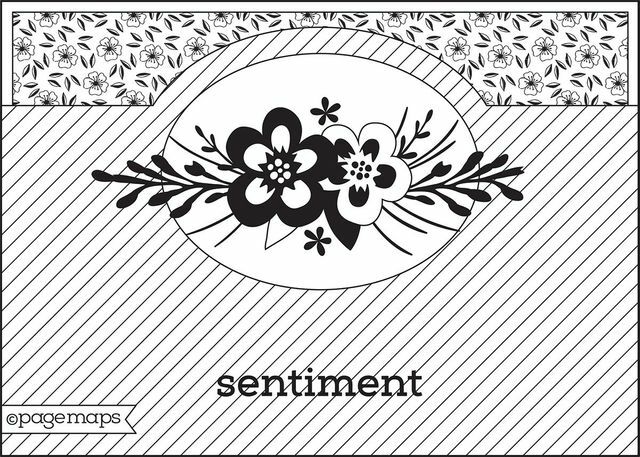 I was unsure what to add for the sentiment, so I decided to just go through stamp sets until inspiration struck. I found a few interesting options, but the one I liked the most was a little bigger than I would have liked. I still really liked how the idea tied with the theme, so I switched gears with my design to incorporate it in - and that's where the white banner comes in. The sentiment reads, "It's Your Birthday - Do what you please." And isn't curling up with a great book a great way to treat yourself on your special day? The color combo for this card was inspired by a picture of colored enveloped I saw online this weekend. I liked the fun, vibrant colours and combined with the CAS(E) This Sketch challenge, they inspired this card. It showcases the new Stitched All Around bundle. 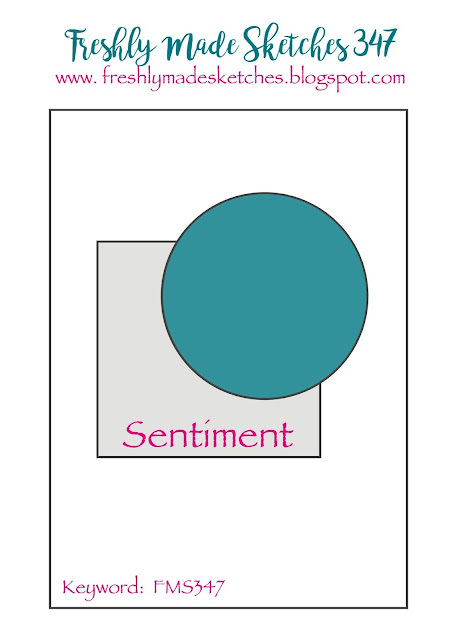 The circle sentiment was embossed with Copper embossing powder. One of the July VSN challenge was "pool party." I pulled out my Beach Day stamp set and my Distress Oxide inks to make a pool backdrop, then I decided the Color Throwdown combo #502 would work well (since both the elephant and the rhino can be colored grey, and the pool was going to be using shades of blue). I also decided I wanted a circle card to mimick a pool. I recently purchased a set of layering circle dies from Tonic because the largest size goes up to 5-1/2". Despite having a few circle sets already, I noticed that a lot of sets don't include larger sizes, which is surprising considering that the Big Shot can accomodate dies that are up to 6" wide. It made creating circle cards frustrating because I ended up with cards that were too small for my liking. This one measures 5-1/4", which is more in line with regular card sizes. The French sentiment reads, "Wishing you a day filled with love and happy moments." There's a tiny detail added to the right side of the sentiment that might not be showing up in the picture: I used the little clear raindrop enamel shapes Stampin' Up! was selling in the Occasions catalogue this Spring. If you look closely , the elephant is splashing water with its trunk, so I added the clear shapes to play on that detail. I also used Sea Breeze Jewel Drops from Nuvo to create a border all around the card. As for the watery background, I smooshed some Distress Oxide inks (Tumbled Glass, Salty Ocean and Blueprint Sketch) on my non-stick mat, spritzed the ink with water and dipped a piece of watercolor paper on each color. drying the paper with my heat tool between layers. Using watercolor paper makes a huge difference - I absentmindedly started with thick white cardstock and when I saw the cardstock curl up do to water, I remembered that I usually use watercolor paper, so I went back to that option. It layers better and it makes for a less splotchy result. A while ago, I had this idea that the Rub-a-Dub-Dub stamp set could work with a sentiment about getting your ducks in a row. I was surprised that this was not one of the sentiments Lawn Fawn thought to include in the set, but I stuck a Post-It note with that idea on the stamp set for later. Today, when I saw the CAS(E) This Sketch #281, I thought I could make it work with this idea. 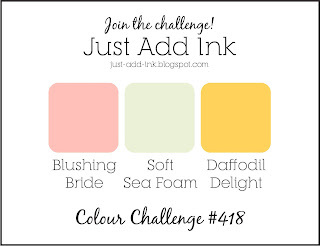 I also drew inspiration from the Just Add Ink #418 for the colors. My initial idea was to use an alphabet to spell out the sentiment, and put a row of ducks underneath. I grabbed the Riley's ABCs stamp set and started building my sentiment – and soon figured out that the overall sentiment would be much larger than I intiially thought. I switched gears and decided to have the row of ducks replace the word ducks. In the end, I think I like this idea even better, I found the word Congrats in the Bun in the Oven stamp set, and I stamped it on a little strip die-cut with the Sentiments die from Waffle Flower to make it stand out, but also to to cut up the sentiment a bit, and to add color. Because my sentiment was longer than I had anticipated, the top of the card felt a little empty so I added a piece of white cotton twine at the top, and a few sequins (from the new Basic adhesive-backed sequins from Stampin' Up!). The outside edge of the Soft Sea Foam cardstock was inked with Distress Oxide ink to add soft dimension, and the piece was die-cut with the Outside In Stitched Rectangle Stackables dies. I started this card last Sunday evening and didn't get to finish it right away, which means that I missed the posting deadline for the colour challenge. I did finish my card using the Freshly Made Sketch as inspiration for the design, though. 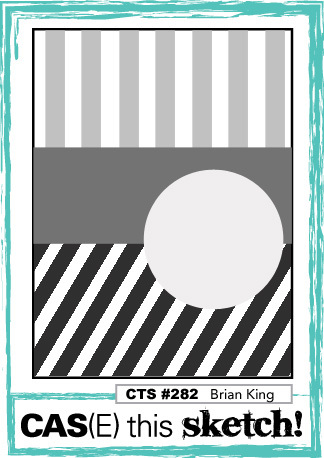 The starting point of this card was the Halftone stencil from Altenew, which reminded me of comic strip backgrounds. I pulled out the old Calling All heroes stamp set from Stampin' Up! It was initially released when Stampin' Up! first tested out photopolymer stamps to see if they would work for their market. Most of the stamp sets from those first releases were either not to my taste or English-sentiments only, but this one really appealed to me with its retro comic strip look. I found the "You Are Super" sentiment in the Epic Celebrations stamp set from this past Sale-A-bration offering. In the bottom bubble, I used the alphabet from the stamp set to spell out the French equivalent of "Wham!" as a little tribute to the Batman TV show. I also repeated that idea on the matching envelope. By the way, the stenciled background was done with Frosty Sparkle Gltiter Kiss. I was planning on using my glitter paste from Nuvo but got a sad surprise when I opened the jar: it's completely dried out. Out of curiosty I checked out another jar and it's bone dry as well. This is disappointing as I only had the chance to use them a couple of times and they weren't that old (less than a year). I remember hearing that glitter paste dries more easily than regular paste, but still. I'm not sure what I should have done differently when storing them, but I'll have to research on what went wrong. In the meantime, I was bummed out that I couldn't make the card I had intended to make, until I thought I could pull out my Glitter Kiss instead. I initially started applying the Glitter Kiss with the sponge that comes in the packaging, but I was not getting the textured look I had envisioned with the paste, so on a whim, I took my palette knife directly to the jar and applied the Glitter Kiss the way I would have with regular paste. And you know what? It worked out perfectly! It goes without saying that it emptied the jar quicker than it would have with just the sponge but there is no point in holding on to products and not using them (as illustrated by my dried out glimmer pastes). When designing the rest of the card, I tried to hide the background as little as possible to be able to show it off. One last thing: those fun, bright colours are three new shades from Stampin' Up! introduced with the color revamp. Aren't they pretty together? Granny Apple Green is quickly becoming a new personal favorite. I haven't even used all of the new colors yet, and still this shade of green has popped up in a number of my cards already. 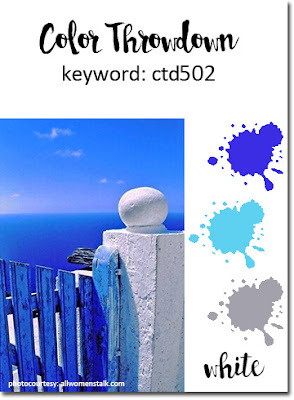 If you're slowly easing into the new colors, this would be one of my suggestions as a useful, versatile colour. That Highland Heather is really pretty too, and definitely fills a gap in our previous colour range. For such a cute, uncluttered card, you'll be surprised at how many different items I pulled out to put it together. I'm super happy with the result, though - it's clean and sunny and sort of puts you in a good mood just looking at it. The starting point was a July VSN challenge based on a treasure hunt, where you had to put together various summer vacation-related items. I paired something "that reminds you of summer" (the beach, "that tastes good" (the pineapple) and "that is red, yellow or orange" (the pinapple). I had this idea that I wanted to make a little Polaroid frame with a summer picture. I decided the CAS Colours challenge had the perfect summery vibe (by the way, I'm très happy that Coastal Cabana is back in the current colour roaster!) and as I was looking for stamps that would work, I was torn between using the pineapple or the flamingo. I decided I wouldn't have to choose if I simply did two Polaroid pictures instead. I was looking for a sketch that could work and I found inspiration in an old Mojo Monday sketch. 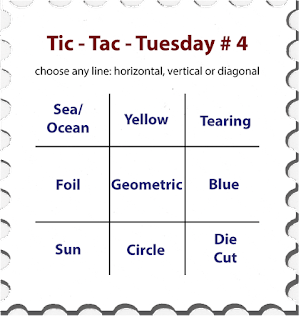 I then realized I could do a tic-tac-toe line for the Try Stampin' on Tuesday challenge since I already had Ocean and Yellow. I simple added tearing with my pink cardstock. When I had flipped through stamps, the hashtag stamps from Wild for You had caught my attention and I later decided to pull that set out again to add the #selfie underneath the flamingo picture. I kind of wanted something else for the pineappe but the other hashtags were not really what I was looking for, so I found a small "miss you" in the How You Bean? Conversation Heart Add-On set, which was perfect. Finally, I used the Scripty Aloha die on teal glitter paper and I die-cut a piece of white foam to glue underneath it and give it dimension. Tip: While using fun foam to quickly add dimension underneath a die is a quick way to raise it up, I have noticed that the foam gets squished when going through the die-cutting maching and often gets out flattened and therefore a little wider than the cardstock die-cut. Here, the white shows around my scripty word. I didn't mind and decided it's part of the look, but be mindful of that. I had tried the foam trick on a previous project using a triple window die and I decided against using it because the foam was way too apparent. In that case, your best bet is still to die-cut the same image a number of time out of regular cardstock and stack those cardstock die-cuts together to get the thickness you want. The idea behind this card came from leftover pieces from a recent scrapbook page. I had one die-cut left from my sheet that reads "Be brave." I kept thinking it could make a great get well card, specifically for cancer, with a ribbon added to it. The die-cut was quite big (3" x 3", I believe) so I cut it down a little smaller and kept the rest of the design fairly streamlined. I love the colours of those papers (Girl Cousins from Echo Park), they're a beautiful, soft combo.I made a matching envelope out of Tip Top Taupe envelope paper. I have to say that while the clean and simple look is not usually playing to my strength, I'm quite happy with how this one turned out. The Dandelion Wishes might be one of my favorites from the 2018-2019 annual catalogue. Everything made with it just turns out so lovely. The only negative thing about this set is that it was not translated to French! I love the font and look of the sentiments. A few details about this card: I included one of the new colors, Grey Granite, in my design. It's a lovely color but to be honest, it is so similar to Smoky Slate that I don't think it really was all that useful to add to the line. I'm okay with the color revamp, and my only hang-up about it (which links to this additional grey) is that the marker box is now not big enough to include all of the current markers (regular color and two current In Color families). Small details, but it just makes my organizational life trickier. Stampin' Up! has always been really good at offering their products with the organization required, but with this change, I think they're not entirely caught up yet (the caddy is not the exact size for the new ink pads and the marker box does not have the right number of slots). First-world problem, for sure, but now that my craft room is full, those details really matter. But back to the card, the Grey Granite does look really cool and modern paired with Crushed Curry, black and white. A few silver pearls (from the new Metallic Pearls pack) were added to the main image, and the black images were embossed with Clear powder for added shine. The grey background was embossed with the Subtle 3D embossing folder. While I was putting away my Doodlebug scraps from my latest projects, I spotted the Cream & Sugar collection and decided to make a card with it for the tea or coffee-themed VSN challenge. 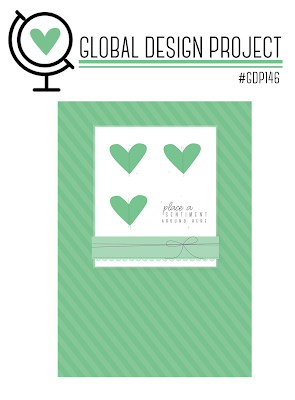 The design was inspired by the Global Design Project sketch #146. When I saw the VSN challenge calling for a card with a holiday theme, I decided it was my chance to get my Holiday Hugs stamp set inked. I looked at past ColourQ challenge for quick inspiration and thought the combo #12 could work nicely. I sort of liked the combo, but I thought I could like it even better if I changed some of the colours to close equivalents, so in the end, I chose Call Me Clover, Real Red, Soft Sea Foam and Powder Pink. That allowed me to include some of the newly released colors in my card as well. I wasn't sure what I thought of Soft Sea Foam - it's really pale and it can look like the colour of scrubs depending on what you pair it with. In this combo, I think it works well, though. I found in a past Christmas set and sentiment that translates to "Wrapped in the warmth of Christmss." It was perfect to go with my hug image, and the size worked well to fit the curve of the image. I hadn't initially thought to add the pink piece of cardstock to the tag, but the card suddenly became more vibrant and interesting when I did. I used the snowflake row from the same stamp set to add a bit of decoration at the top, to fill the empty space. The main image was stamped and embossed with Copper embossing powder on watercolor paper and watercolored with inks. A piece of copper-patterned washi tape was added to the tag to tie with the copper embossing. This card was inspired by Splitcoast Stampers' July VSN challenge A. 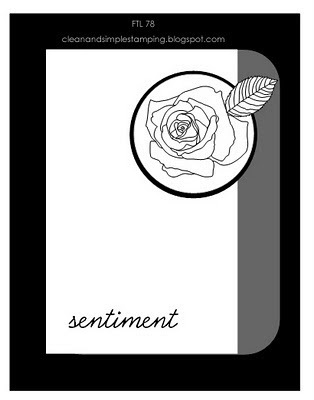 It calls for a barbecue-inspired masculine card. I didn't want to go for the obvious and pull out the Let's Barbecue stamp set from Lawn Fawn, so I went digging further and found Beerafella, which to me looks like a guy enjoying a beer at a backyard barbecue. I paired him with the CAS Colours and Sketches #280, and with an old ColourQ combo, #6. I decided I wanted to use color pencils on kraft cardstock as I like how it makes the colors pop. After I finished coloring my image, I spotted a piece of cardstock which has been floating around my craft room for a long time. Back when I bought my first jar of Glitter Kiss in Periwinkle, I tested out the product on a few pieces of cardstock, including using a dot stencil on Bordering Blue cardstock. I figured I could easily reuse this piece in an underwater scene project. It sadly never seemed to fit anything I was making... until I happened to make this card which actually includes Bordering Blue in the combo AND the glitter kiss is the same color as Blue Brocade. That was too good to be true, and it allowed me to save on time as well since the VSN challenges are times and supposed to be under an hour. I also think the dots looks like bubbles - beer bubbles! I added a few clouds, which I added shading to with pencils as well, and I went hunting for a sentiment. I found it in one of the first sets I flipped through - Endless Birthday Wishes. It's an English set, but we use the word party in French as well, and it was short, so I didn't look any further. For a one-hour card, I'm happy with the result. And happy to add a new masculine card to my pile. I certainly never have too many of those around. After I was done making my two layouts with the Fun in the Sun collection, I was left with just a few pieces of paper and stickers, and they inspired this card. The background is a 4" x 6" die-cut from one of the sheet that I cut down to a smaller size in order to be able to mount it on a card base made out of 12" x 12" cardstock cut to size. (The final card measures 4" x 6".) One of the VSN challenges called for a bike image, so the bike die-cut was perfect. I used a decorative clip to keep a little piece of patterned paper with a camera on it in place, like you would a ticket stub or ephemera from a trip. Glitter Gloss was added to the sun to make if sparkly, and enamel dots to the bike's wheels. A little piece of polka dot ribbon was also tied around the card, and I made my own envelope for the oversized card. This card was inspired by the Stamp Ink Paper challenge #157. I really love Lawn Fawn stamps and Doodlebug Design papers, so my card combines both. 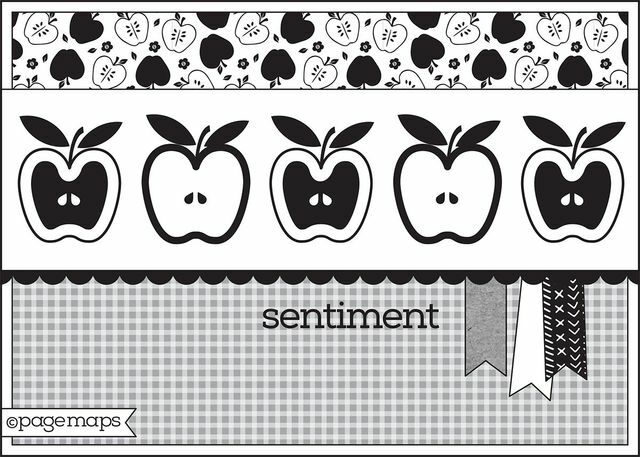 I also love Stampin' Up! 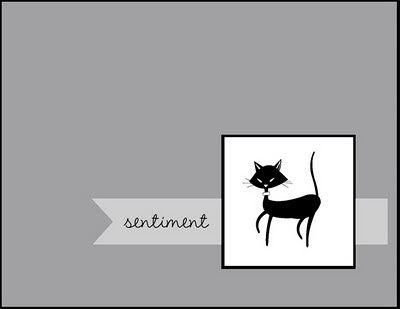 for sentiment stamps, because they offer an extensive offering in French, which not a lot of companies do. I pulled out On Your Birthday (the French version), an old favorite, to stamp "It's YOUR day - enjoy!" Seemed fitting with the jelly bean jar. The design was inspired by a Page Maps card sketch from July 2018. To have the folder tab, I pulled out an old tool - a Coluzzle folder template! I've held on to some of my Coluzzle templates because they still are the only tools that I have which allow me to cut super large circles and folders of all sizes. In this age of die-cutting and electronic machines, it's a little funny to go back to the Coluzzle, but hey, don't knock it if it works! I adapted the square layer from the sketch to a tag layer instead because I didn't want to hide the pretty rickrack, and that layer really tied the layout together. For the shaker, I stamped and colored the stack of jelly beans on my background piece, and then I stamped and colored nine individual beans, which I handcut and placed inside the shaker. I added sequins from various sequin packs and Iridescent Mini Star Confetti from Pretty Pink Posh. I kept debating on whether to add the jar tag or not - the jar felt bare without it, but I didn't want to hide the pretty content too much, so I finally white-embossed the tag on vellum and added "jelly beans" embossed in Melon Mambo powder. The vellum lets the colours peak through, so it was a good compromise. 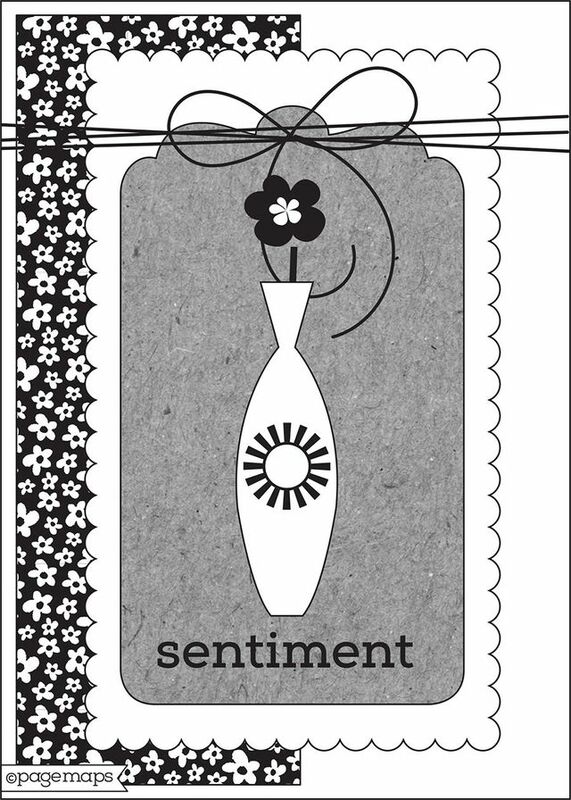 A little die-cut flower topped with a flower button was added to the folder tab to embellish it a bit, and three dots of White Enamel Accents. Finally, a glitter enamel dot was added to the left side. I love the soft combo of Hand Stamped Sentiments # and it inspired me a baby card, which had me reaching for the Sweet Baby stamps and matching dies. The design was inspired by Clean&Simple #78. I was initially planning on putting a circle shape behind the baby, but I decided I liked the design as is. This is cleaner and simpler than I usually do, but I'm still quite pleased with the result. I think the Tufted 3D embossing folder looks great with the baby card. I had forgotten to stamp a sentiment before dry embossing the Pool Party cardstock, so I had to add my sentiment to another piece of cardstock (I decided on vellum), but I think it was a good thing that I ended up breaking all of the vertical elements with that vellum strip. A little heart enamel shape was added and Basic Grey baker's twine, and I also layered that fun scallop edge die-cut over the same color of cardstock for a soft tone-on-tone detailing. So anyway, I totally love the sentiments in the set - love the bubbles and love the game fonts. But of course, they're all in English, so I used my Word software and a free font found online (ArcadeClassic) to print my text, which I die-cut using the Speech Bubbles dies from Lawn Fawn. 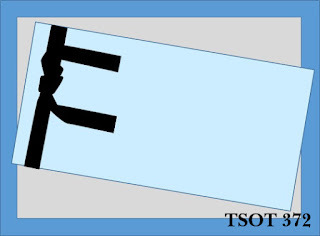 The card layout was inspired by a Page Maps card sketch from the July 2018 series. I tried to work in elements that went well with the game theme: embossed stars on the tag, a grid pattern on the green cardstock to keep it masculine, some silver hologram stars, and I turned my background piece into textured cardstock thanks to the awesome Subtle embossing folder from the Stampin' Up! annual catalogue. The stars were die-cut out of adhesive backed sheets of holographic film found at my local scrapbook store. I loved the look and new I could transform those into cool die-cut accents. The fact that they already have adhesive on the back just made my just that much easier. Pieces of washi were added to fill in the card a bit as well, and little enamel dots made with Ranger's Enamel Accents. See that bit of sequin trim at the bottom of my yellow tag? It was Plan B to cover up something I tried out and didn't really like. 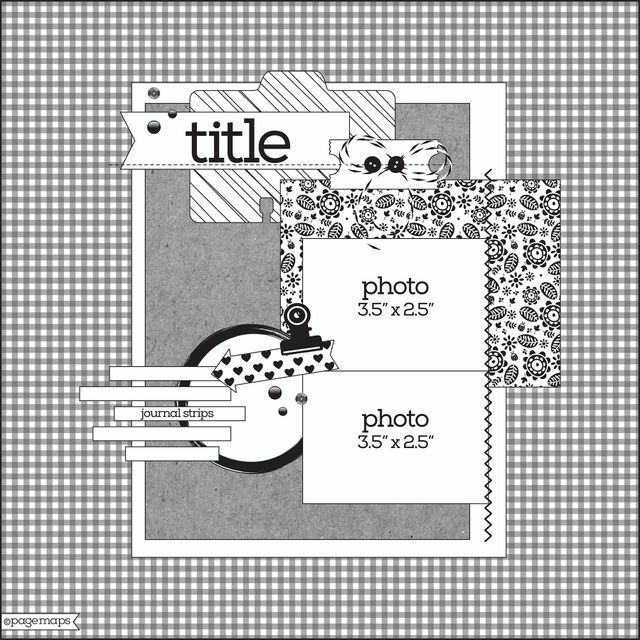 I had seen a scrapbooker put some enamel dots close together, knowing that they would link, and creating a cool black and white border to her page. I decided to try that at the bottom of my tag, alternating the teal and blue enamel accents. Well, it looked... just wrong. The stripes were not the same width, the line was not straight, it looked like a weird snake at the bottom of the card and totally out of place. So I just added the sequin trim and was able to salvage my card and bring it back to something that I actually like. I sold my last baby girl card at the office this week. so it was on my mind to create a new one to add to the pile. It was great timing since I received the Sweet Baby bundle at the same time. This bundle just grabbed my heart the second I saw it. I think the die with the little scalloped blankie to swaddle the baby in was the cherry on top of the sundae for me. So cute! There are some card themes that just come easy for me (Christmas, Halloween, birthdays) and some that don't (weddings, anniversaries, babies). This is why I am doubly excited when I find a stamp set that can inspire baby cards more easily. I can't remember right now where I got the idea for the colors, but I paired Soft Sky, Crumb Cake, Blushing Bride and Crisp Cantalope. I love the soft look! I used the "Cute and cuddly, soft and sweet - someone to make your life complete" sentiment and with the soft mix of blue and pink, this card is pretty gender neutral. Could work for a girl, but could definitely work for a boy too, or for a couple that chose not to know the baby's gender ahead of time. The fun layout was inspired by an old Mojo Monday sketch (#350). The adorable scalloped border is a die that is part of that same kit. Lots to fall in love with in there! Oh, and I almost forgot to mention my favorite part of this whole design: the background piece embossed with the new Subtle embossing folder. This is probably the most unassuming item in the whole catalogue and you can't even really tell what the texture of the folder is supposed to be when you look at the picture on page 223 of the annual catalogue. Because of the name and the soft texture, I immediately thought, "Oh, I hope it's meant to mimick textured cardstock!" I swear I've been hoping and praying for an embossing folder to reproduce textured cardstock ever since Stampin' Up! retired that item years ago (which broke my heart, by the way). Textured cardstock made a huge impact on a design and helped create dimension when layering unstamped cardstock. Anyway, I was correct and this is exactly what this folder does! I warn you: you'll be seeing it a ton in my upcoming projects because, well, textured cardstock in every possible cardstock color! That crafter right here is quite happy. So many new amazing items and yet, this little embossing folder is what made my year. So I figured I might be able to make a similar Bokeh-like background using the Distress Oxide inks. So I sponged Peacock Feathers, Picked Raspberry and Spiced Marmalade on a piece of white cardstock, and spritzed with water and dried. Then, I created circle masks by punching various circle sizes in a piece of paper and I sponged Squeezed Lemonade and Fossilized Amber to create light points. I also used white pigment ink for a few more circles at the top. I was happy with the result up until that point. Then, I pulled out the Radiating Rays stencil and added white ink, but I was not as happy with this part. I decided to keep on going with the card and stamped all of the little pieces I thought I might be able to use. Because I was working with a square piece of cardstock to fill out a 5-1/4" x 5-1/4" card, the coaster was not filling up the space enough and the little stand is one of my favorite image from the set, so I figured I could repeat it three times to have a ticket booth, a food booth and a game booth, then have each character hold something that they got at that booth. I colored and die-cut everything, and once I placed everything on the cardstock to have an idea of how it would look, I started getting really excited. I decided to add the Stitched Fireworks at the top, and cover them with Dazzling Diamonds fine glitter. I stayed away from liquid glue or Stickles because I have learned my lesson from previous cards: the liquids on those products make the Distress Oxide ink react! And you end up with a different color than intended where the glitter is. This time, I went with my two-way glue pen and loose glitter and it worked out much better. I wanted to create a road, so I went looking for my Road Borders dies and while I was looking, I found the Stitched Square Frames dies. I didn't think the widest frame would be large enough, but when I tried it over my scene, while it was not as large as my paper, I decided I actually liked having the smaller frame around the scene and seeing the cool blended paper continue over the edge. Once I added the road and the frame, the scene really took form and the card had that little extra that takes a card from cute to wow. Little gems were added to the center of the fireworks, and a Night of Navy card base (which measures 5-1/8" x 5-1/8" because I didn't want a large mat under the scene). I repeated the three booths idea in matching colors to decorate my envelope.